Fibromyalgia has been referred to as a “pain amplification syndrome”, meaning that people who experience the condition perceive pain differently than those without it. To complicate matters further, the nature of the pain can shift over time – a primary problem of headaches can easily morph into neck or back pain over the course of months or years. While a person with fibromyalgia might experience regular symptoms on a daily basis, they can also experience periods of worsened or more frequent symptoms. Some causes of flare-ups are unavoidable – we can’t change the weather for example. However, we are in the position to control many common triggers to some extent with lifestyle modifications. It isn’t always easy to identify problem areas and make the necessary changes, but sometimes it doesn’t take drastic changes to start making a noticeable difference in how you feel day-to-day. Hormone imbalance – the vast majority of fibromyalgia sufferers are women (it’s 7 times more common in women than in men), so it makes sense that fluctuating hormone levels that naturally occur in women can potentially trigger a fibromyalgia flare. Stress (physical or psychological) – when stress levels rise for any reason, it can lead to an increase in fibromyalgia symptoms. While it’s certainly not possible to avoid all stress, trying to create the best possible environment and learning effective stress-relieving techniques can be of great benefit. Activities like meditation, journaling, or blogging can be great outlets to relieve some stress and create a positive environment. Poor sleep – it’s no secret that fibromyalgia sufferers have a hard time getting a restful night of sleep. Establishing some healthier habits around sleep can help to improve the quality and quantity you’re able to get. Maintaining a regular sleep schedule is key. That includes going to bed and waking up around the same time each day, even on days off. Keeping your bedroom cool and dark can also help. Weather and temperature changes – Really hot or really cold temperatures, humidity, or even changes in barometric pressure can affect those with fibromyalgia. Schedule changes – staying up extra late, or schedule changes that come along with traveling can result in an increase in fibromyalgia symptoms. Diet – As with any chronic health condition, getting proper nutrition to allow for your body to heal is crucial. Maintaining proper nutrition can help boost energy levels and can help you to avoid additional health problems. Injury – many cases of fibromyalgia either first arise or are worsened by some type of physical injury or trauma. One thing that a lot of fibromyalgia sufferers have in common is some type of head or neck injury, such as whiplash, that preceded the onset of their symptoms. Overdoing it – gentle, daily exercise is recommended for fibromyalgia patients because it can actually help to reduce the muscle pains. However, overdoing it by pushing yourself too far physically can hinder rather than help. During flare-ups, sticking to gentle stretching or short walks is best. Changes in medications – many commonly utilized medications for fibromyalgia symptoms come along with side-effects that can worsen a flare-up. For example, a medication used to treat depression might cause additional fatigue. Illness – in some cases, a viral infection or other infection such as Lyme disease can trigger fibromyalgia. Some fibromyalgia suffers also experience other health conditions like lupus or rheumatoid arthritis, which may magnify their symptoms. When it comes to fibromyalgia, chronic fatigue syndrome, and many other related health conditions, oftentimes the majority of the attention is paid to the reduction of individual symptoms (such as pain or sleeplessness) rather than treating the root cause. One of the most under-explored areas when it comes to addressing the underlying factors in fibromyalgia is looking closely at the role of the central nervous system. It is well known that people who suffer from fibromyalgia process pain differently than those without the condition. Upper cervical chiropractors are able to address these changes in signal processing by identifying areas where these signals might be compromised. This most often happens at the upper part of the neck at the brainstem, which acts as a relay station for signals traveling between the body and brain (as well as the other way around from the brain back to the body). When the vertebrae that sit just underneath the base of the skull where the brainstem exits misalign, it can cause irritation and pressure that impedes the body’s ability to send and receive pain processing signals normally. 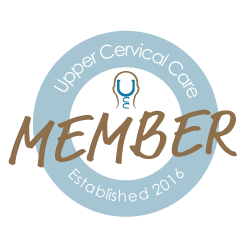 At Pancake Wellness Center we take an extremely detailed look at the upper cervical spine and how the atlas vertebra is aligned. If normal communication between the brain and body is to occur, then the atlas needs to be aligned such that there is no pressure on the brainstem. We take very specific diagnostic imaging and make other measurements to determine, down to fractions of a degree, the nature of each patient’s atlas misalignment. Atlas Orthogonal adjustments are designed to be extremely precise with the goal of gently bringing the atlas back into normal alignment underneath the skull. Through these customized adjustments, many fibromyalgia patients experience natural, lasting relief of even their most stubborn symptoms.